We are having a bulk of all modern based interactive flat panel fits for commercial displays or private entertainment enhancement. 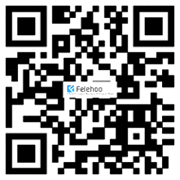 Our each product is well designed to act as a magic wand that binds the interest of the viewers effectively. For many exhibition or bigger events people are giving preference to use these products for their ultimate benefits. One of the biggest advantages of using these panels is that it save slots of time and effort and also considered as one of the best-advanced tools for many award function or bigger screens. It helps the audience to keep engage and also makes a presentable presence for everyone. Basically, for live activities on bigger ground or screen using the commercial flat interactive panel will help them to present effectively to the larger audience. Many people also prefer to use bathroom TV mirror as it serves as the interactive good looking appearance for the people. We are having a wide range of products with different designs and system based where the customers can easily choose their preferred products at best available cost. Availing our products will surely enhance the interactive platform to the viewers where these customers or people virtually indulge with your bigger screen. 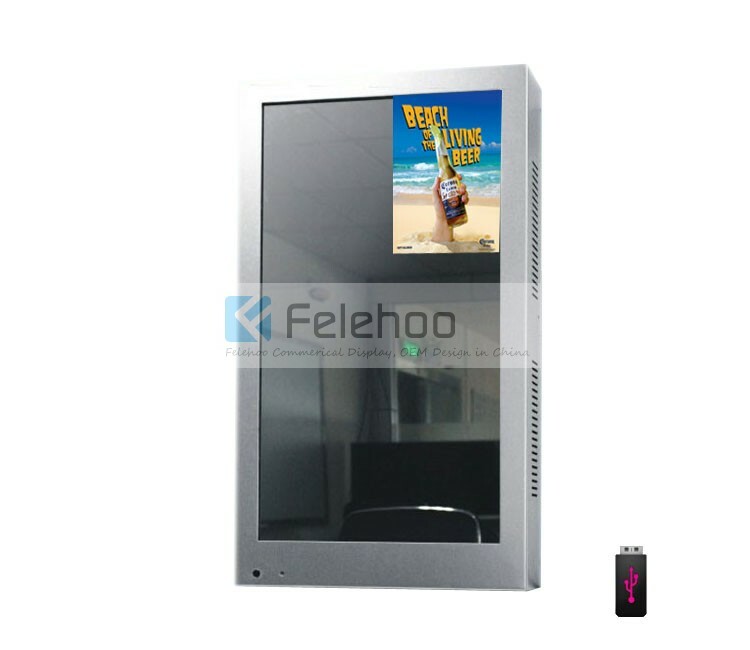 This product you see is a small size digital screen with a still picture that has a sensor in it that when someone come to the magic mirror advertising player's motion sensor area within 50cm, the sensor can be triggered, and then the display screen shrink into a small square and emigrate to the right corner,the rest screen can be used as a mirror. However, once the person is away from the sensor, the display will again revert into a full screen still picture. 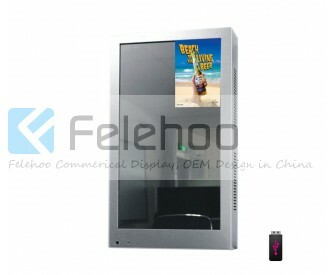 There are also another expression that the sensor can be triggered when someone come to the magic mirror advertising player's motion sensor area within 50cm, the display screen can be used as a mirror without any photo, However, once the person is away from the sensor, the display will again play a full screen video or photo. Above both Magic Mirror Advertising display Expression is Optional, The First solution is usually used for Play-and-Plug advertising player. The Second solution is for Magic mirror display with Network connection.